Auriculotherapy is the stimulation of specific points on the ear, which is believed to be a microsystem of the entire body. 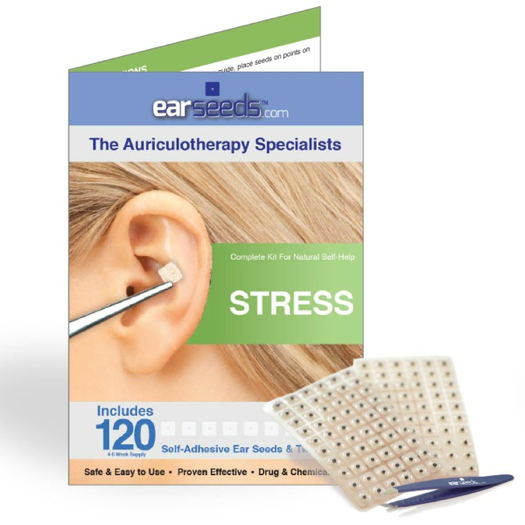 Small black seeds from the vaccaria plant or small metal beads or pellets are secured on the ear with a piece of adhesive tape over specific acupressure points. The continuous mild pressure they exert is amplified by stimulating the seed or pellet with a few seconds of fingertip massage every few hours. Ear seeds are non-invasive, meaning, unlike needles or tacks, they are affixed on the surface of the ear and do not puncture the skin.